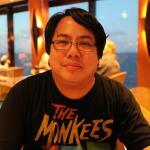 MPAA Rating: R for language. Running time: 122 minutes. 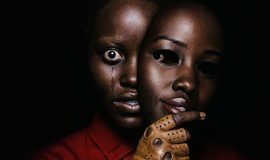 Released by Universal Pictures. Now playing in limited release; nationwide 10/23. You don’t need to know much about Apple, the Macintosh, or the iMac to get into a theater and be blown away by Steve Jobs; all you need to do is focus on what you’re being shown and how it’s being shown to you. 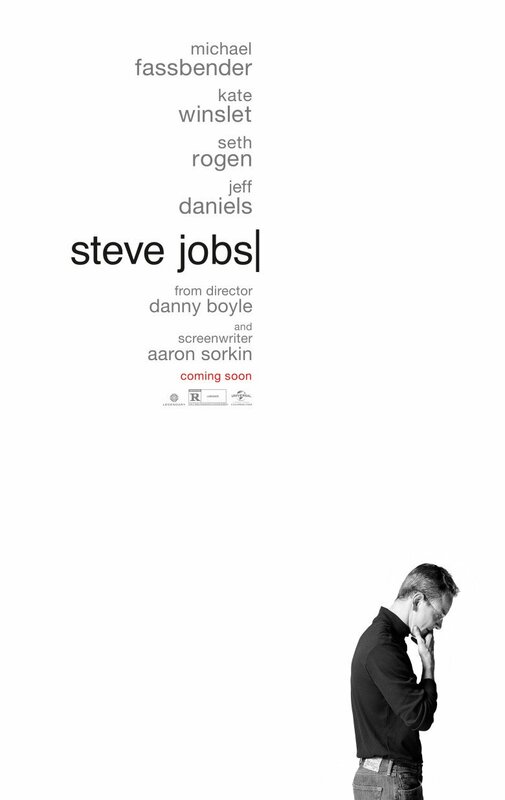 What director Danny Boyle and screenwriter Aaron Sorkin (adapting Walter Isaacson’s biography) have done is condense a lot of the iconic CEO’s life into three separate acts using different film types which accompany the evolution of both Jobs and computers, all taking place backstage at three pivotal launches for Jobs’ products: the grainy 16mm world of the 1984 Macintosh, the higher-resolution 35mm for capturing the 1988 NeXT, and digital for the last stage with the 1998 iMac. It’s not a stretch to see the overarching metaphor of having Jobs’ life exposed in these milieus. Most of us saw what the rest of the world did – a man in a black turtleneck, blue jeans, and white sneakers coming onstage and telling us about his latest offering that’s going to change our lives. Yet Steve Jobs not only takes us backstage into these product launches; it takes us backstage into his personal life and the folks who inhabit it, from his subordinates to his estranged daughter. Sorkin’s script floors us as it’s delivered by the likes of Michael Fassbender (Steve Jobs), Kate Winslet (Joanna Hoffman, Jobs’ assistant), Seth Rogen (Steve Wozniak, Apple’s co-founder), Jeff Daniels (John Sculley, Apple’s then-CEO), Katherine Waterston (Chrisann Brennan, mother of Jobs’ child), and Michael Stuhlbarg (Andy Hertzfeld, software designer for the Macintosh). The dialogue is delivered in a very machine-gun, His Girl Friday-esque type of patter, and the actors are shown in long, languid takes to deliver it with strength, almost overwhelming us with how much information is being thrown our way. 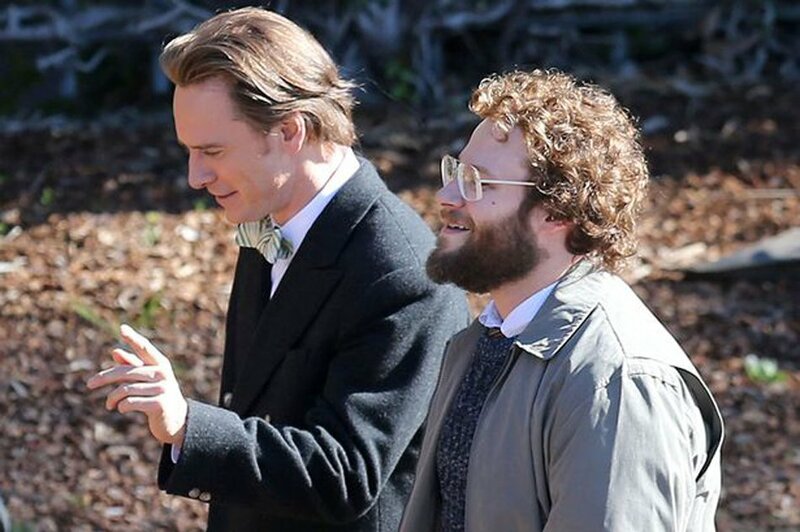 Steve Jobs is, to be sure, an overwhelming film, but not in any pejorative sense of the word. Instead, it is a breathtaking laser focus on a man so driven to improve humanity that sometimes, he forgets to be human. In some ways, he’s kind of like Sheldon Cooper from “The Big Bang Theory,” in that he merely sees people as means to his own ends and cannot stand the fragility of human emotion. 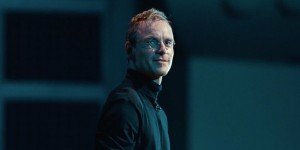 Fassbender dwells in Jobs’ shoes, not just playing a character but becoming him in a bravado, bravura performance highlighting Jobs’ highest highs and his lowest lows. We’re taken from his failings with the Macintosh to his latter-day redefinition and resurgence as the man who came forward with the iMac, and Fassbender highlights all of it with an undeniably great and charismatic performance. As the adopted Jobs’ ersatz parents, both Winslet and Daniels hold their ground and defend every inch of it against Fassbender, equaling him in intensity and perfection. Winslet’s slightly-accented Hoffman serves as Jobs’ stage manager and assistant, calling cues onstage and trying to make sure Jobs does the right thing offstage, whether it’s granting child support payments to Chrisann and his daughter Lisa or holding an audience with his mentor and father figure, John Sculley. She wears her long-suffering weariness well, making us feel the life she’s spent by Jobs’ side. Conversely, Daniels’s Sculley bristles with an almost car salesman-type ooze, as we see him as both saint and sinner. One minute, he’s toasting Jobs with a glass of 1955 Chateau Margaux; the next minute, he’s in Jobs’ face as he tells him the circumstances of Jobs’ dismissal from Apple. Each layer of Sorkin’s script and Boyle’s direction bear heavy weight. We’re watching not just a character study of a man whose mind moves differently from those of us mere mortals; we’re watching how life evolves and revolves around him as he pushes everyone past their creative or personal limits to help sell his products. The three stages don’t merely represent different eras of Jobs’ life; they represent the inner workings of the mad genius the film purports him to be. True, it’s hard to believe that a life can be shoveled into three acts of backstage glimpses, with meetings taking place that seem farfetched and too ostentatiously dramatic. But it’s the film’s conceit, and Sorkin uses it not to generate sympathy for Jobs, but to tell his story in a way which makes you feel like you’re inside a catcher’s glove while a pitcher practices fastballs. 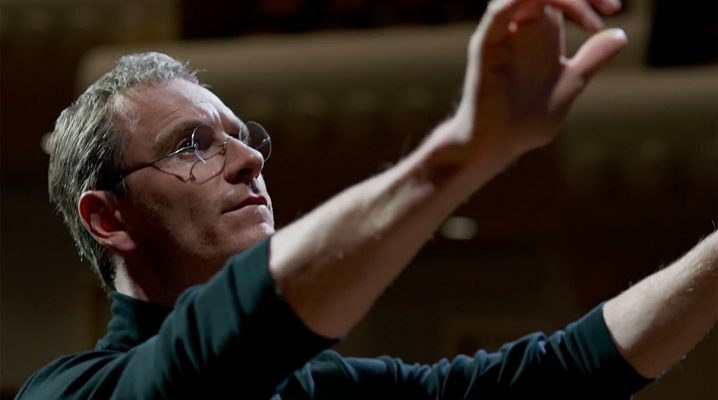 On the surface, Steve Jobs seems like a simply-laid out film. Yet with each passing moment, Boyle and Sorkin find some way of throwing more subtext and revealing metaphors at us, eventually blowing our minds with how well-put-together and deceptively easy this film is in its complex simplicity. 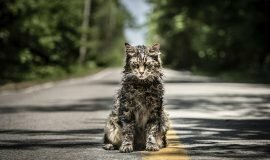 The film’s title never gets shown in the credits, and there’s no need to; we spend two hours with its subject, and the filmmakers let him speak for himself. With its bombast, audacity, and its willingness to amaze and mesmerize, Steve Jobs makes its mark as one of this generation’s important and great films. Now playing in select theatres; exclusively in the DC area at Landmark’s Bethesda Row and Atlantic Plumbing Cinemas. Opening nationwide 10/23.